If equipped with automatic transmission, remove the flex plate. Refer to Automatic Transmission Flex Plate Replacement. If equipped with a manual transmission, remove the flywheel. Refer to Engine Flywheel Replacement. Do not damage the outside diameter of the crankshaft or chamber with any tool. 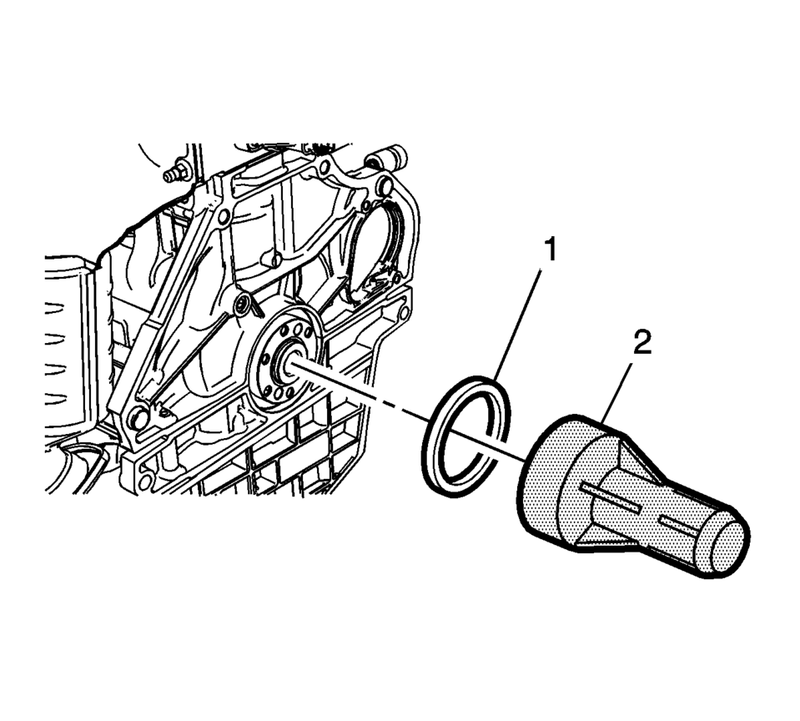 Using a flat-bladed tool, remove the rear crankshaft oil seal (1). 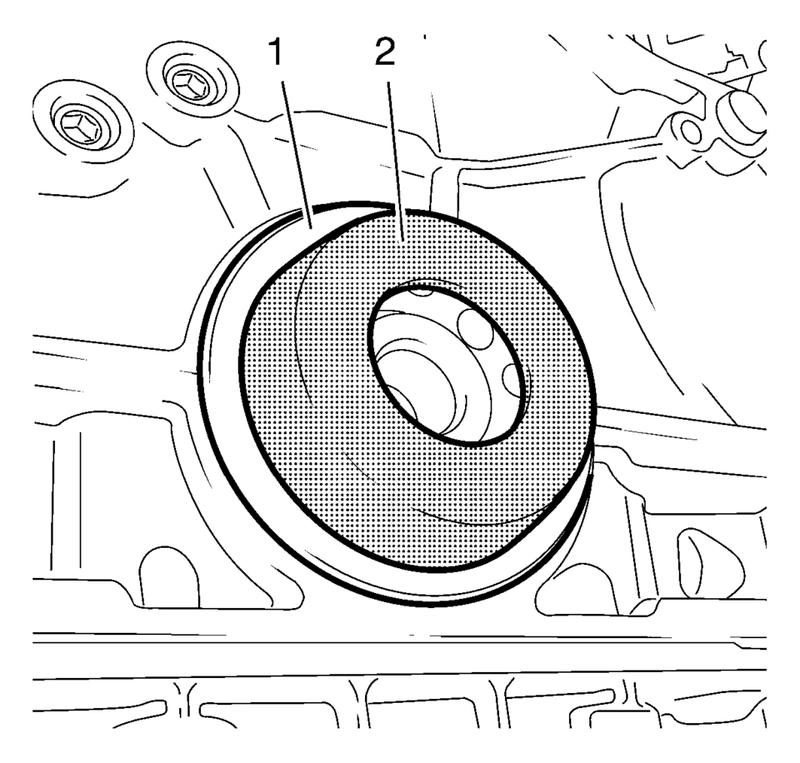 Install the crankshaft rear oil seal (1) with EN-658 installer (2). Using the EN-658 installer (2) , install a NEW crankshaft real oil seal (1). If equipped with a manual transmission, install the flywheel. Refer to Engine Flywheel Replacement. If equipped with automatic transmission, install the flex plate. 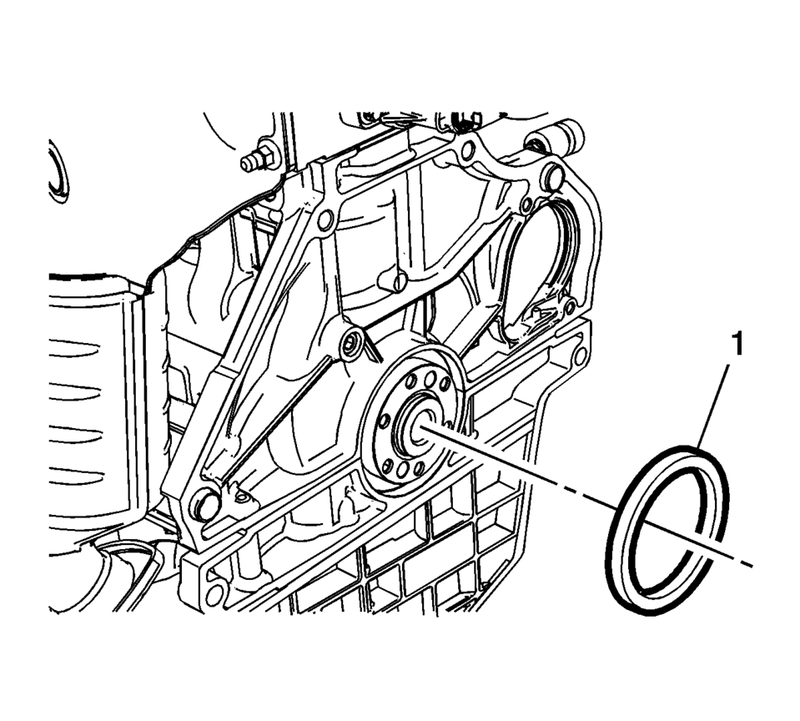 Refer to Automatic Transmission Flex Plate Replacement.